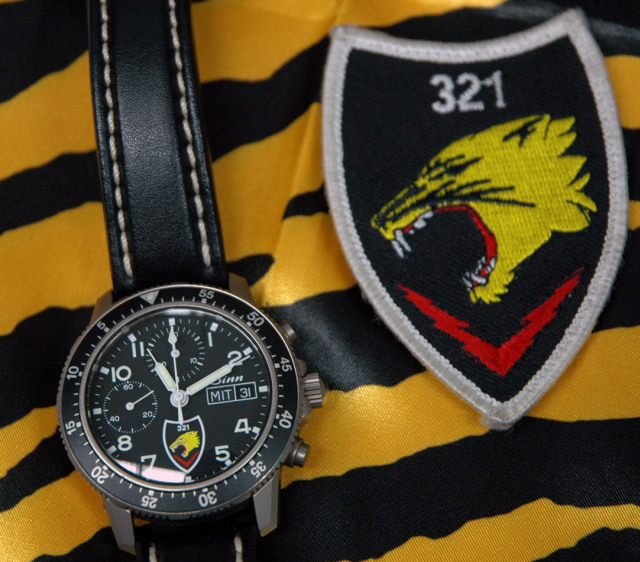 Since 2006, the 1st squadron FBW 32, the Lechfeld Tigers, owed three types of private squdron watches. 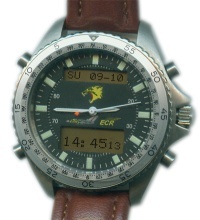 Soon after the conversion from a fighter/bomber to an ECR squadron, the wish to document this uniqueness within the wing and within the Luftwaffe in form of a unique squadron watch grew more and more under the squadron members. A short while later somebody came up with an offer of a watch factory which sounded very very good to us. Quite a number of squadron members decided to order this watch. Unfortunately after a short while only we had to find out that - despite of nice optics and excellent materials - the accuracy of the watch was very poor. It was even poorer than the one of the official flyer's watch (because of that many crews had wanted to change to a privately owned watch). Sinn 103 St, also limited edition of 250, but in different modification states (Ty, Ar, StSa). Both clocks are not flown in any other Luftwaffe Squadron (where the Navtimer Kal13 is, but not the Heritage Kal15). Furthermore is to mention that the squadron crest substitutes the 6 o'clock indication instead of vanishing behind it. 30-50 watches remained in the squadron. 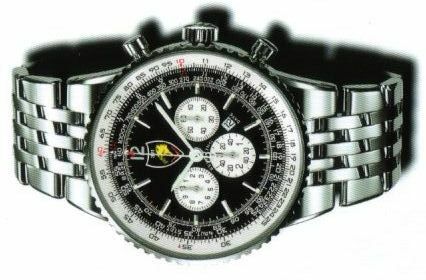 The rest went onto the free market and a larger amount of the Breitling went to Japan. Both clocks are worn by most of the owners during daily flying duty, even though its kind of a little bit pitty because of the wear and tear in the cockpit. Because only 250 pieces were produced of both types they are a unique value for collectors. The CO (commanding officer) btw. owed the Sinn with the serial number 001-250 and the senior ops officer the one with 250-250. So, the first and the last of the series, remained in the squadron (until both of them had to leave on new orders). 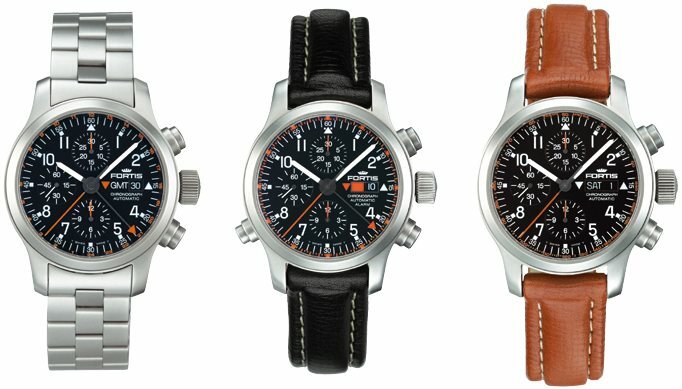 The HERITAGE is a mechanical Chronograph for Flyers with "Flyback" (the sophisticated technology for the fast return of the seconds stopwatch needle) and a slide rule integrated into the bezel which can be used for the computation of useful aviation data. On the back is, engraved with a laser, a pilot's cap together with the numbers "321" and the serial number 000/250. 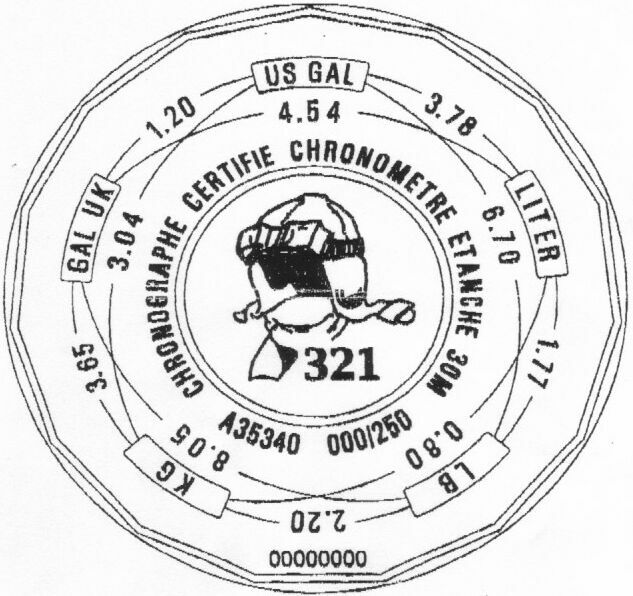 The design of the watch goes back to the NAVTIMER which was developed 50 years ago. For more than two years now, the HERITAGE is on the market as the top model of the NAVTIMER line. 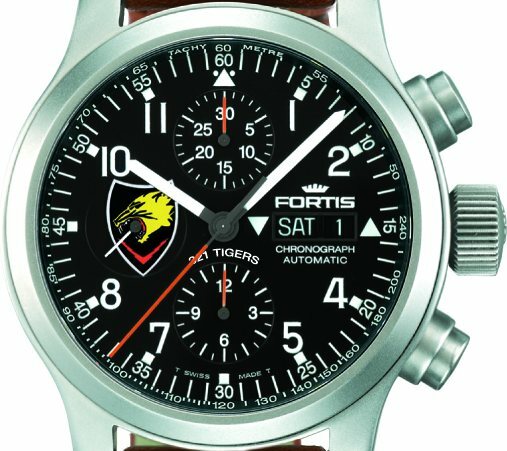 In cooperation with a Jeweller from Ulm, the 321 Tigers could manage to publish the first limited series of this demanded aviation watch. Because only 250 pieces were produced, the uniqueness, and therefore the value for collectors, is guaranteed. 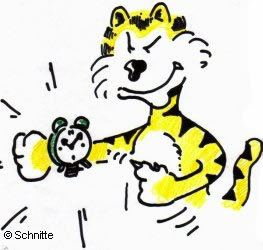 Tigers and Monsters have decided this time to buy the same watch, but of course with different pictures and writings inside. The projected number of watches is: number of orders from each squadron plus 100. Unfortunately is a direct selling of this watch through the sqadron not possible. 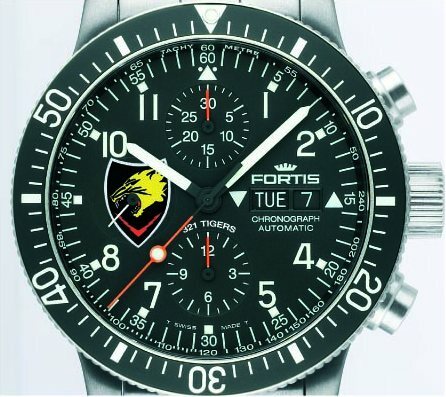 People interrested in buying one, please contact Fortis via direct means or via a dealer!! Choice of 3 different watchstraps: leather, steal (extra charge) and caoutchouc. Rotor engraving and 'behind the glas bottom print' possible with extra charge for the "Pilot Professional". 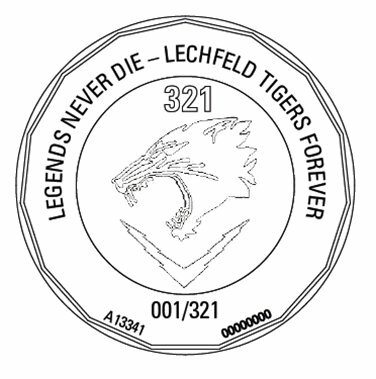 Instead of '321 Tigers' the writing inside will be: '321 Tiger Squadron'!!!! 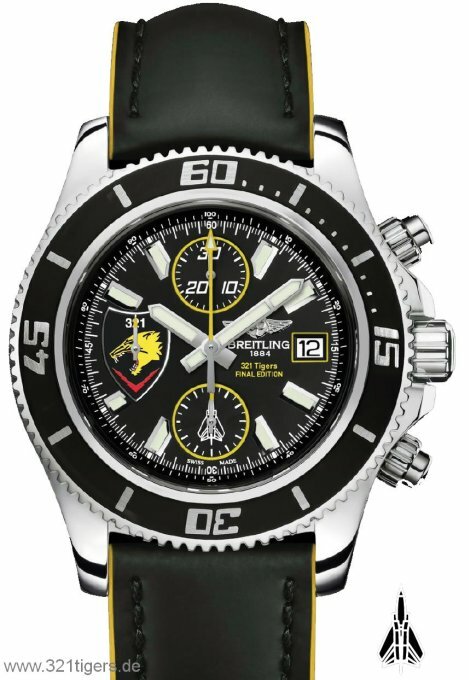 More than a year after the unspectacular end of the 321 Squadron our former squadron member "Krümel" approaches the project of a "FINAL EDITION" squadron watch for an exiting good price and ends up with the Breitling Superocean Chronograph. The watch is produced in an absolutely limited number of 100 items. Each watch gets a unique serial number on its backside, e.g. 032/100. Former Tigers have priorized hand on all numbers except No. 1 and 2. When all Tigers are satidfied everybody who is interested can get one. All watches with new worldwide e-warrenty and 100 % Swiss production.